Inflatable boats have the major benefit of easy transportation and storage when deflated. The drawback of this is that they will require inflation before use and this can be time consuming without the correct air pump for inflatables. The best air pump for inflatables is the Two Stage Electric Turbo Pump By Sea Eagle that has two different air pressure settings and other clever features. Its important to note that there is a range of air pumps that offer different pressures suited to certain applications i.e. inflatable dinghies to towable tubes. On top of this, there is both manual and electric air pumps but a combination is always best. Using a range of cheaper adapters that connect with other air pumps is a waste of time and its highly recommended to buy a dedicated air pump for boats. Electric is the preferred option but having a manual air pump as a backup is always worthwhile. There is a big jump in price when you move from a manual to electric air pump but it is all down to how much you value your time and efforts inflating your boat. Inflatable boats are great fun but only let down by the inflation process when you do not have the right tools. Below is a list of the best air pumps for inflatables that will provide an efficient inflation of your boat and other inflatables. The Sea Eagle is a reputable brand with a range of air pumps but this is a 2 stage pump that has a low and high pressure mode. It is a high performance air pump that connects to a 12V battery with two alligator clips that are included with the pump. Overall, it is the best electric air pump for inflatable boats with the only drawback being the fact you cannot connect it to a cigarette lighter. However, the crocodiles clips are easy to use for connection to a marine battery. AIRHEAD is one of the most popular brands when it comes to air pumps. The AHP-120HP model in particular is a high pressure air pump that works from a 120V power source and includes 7 universal adapters to fit a range of inflatables. The AIRHEAD Kwik Tek AHP-120HP is the best cheap electric air pump for inflatable boats with its affordable price. Considering the low cost, it still has all the adapters required and even comes with a handle integrated into the design so that it is convenient to carry around. The Intex Quick Fill is an electric air pump that connects to a vehicle cigarette lighter as well as a household outlet. It also suitable for indoor and outdoor use and can blow up anything from a basketball to an inflatable boat. Overall, it is a great all rounder in terms of electric air pumps but the Airhead and Sea Eagles are more dedicated towards inflatable boats. Not to say the Intex is not capable but it won’t be as good as the others. The issue with an electrical air pump is that you will require a source of power, which may not be available all the time. Therefore, using a manual pump such as the AIRHEAD AHP-F1 air pump is a great option, which uses your foot for inflation. Overall, the AIRHEAD AHP-F1 Bellow Foot Pump is the best manual air pump for the money and will easily blow up the majority of inflatable boats. The Airhead hand pump is another form of manual inflation and this pump will push out 2 liters per stroke, which is 4 times the amount of a foot air pump. It is called a “double action” pump because it will continuously pump air on both the push down and pull up of the handle. The AIRHEAD Double Action is the best hand air pump to buy that will inflate your boat with a bit of manual effort. Choosing between the hand and foot pump is purely a matter of personal preference and they will both inflate a boat at a similar pace. Inflatable boats are great fun until it comes down to the inflation and deflation of the boat. Luckily, air pumps for boats have improved over the years so that you spend less time waiting for them to inflate and more importantly, less effort required too. 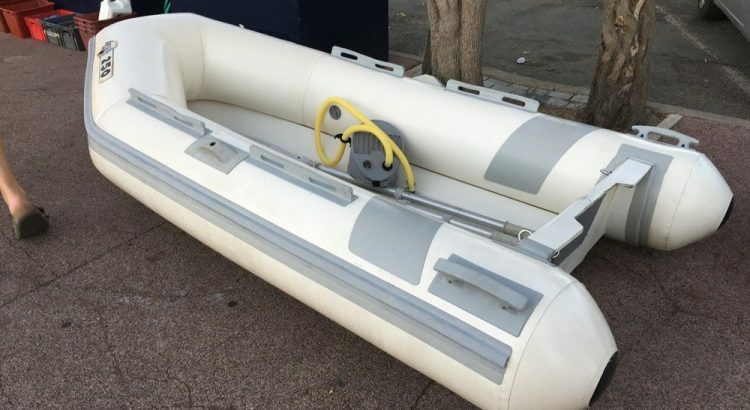 The main benefit of owning an inflatable boat is that you are able to deflate it in size so that it can be transported or stored more easily. For this reason alone, it is essential to own an air pump to inflate it and there are some factors you should consider before purchasing. The recommended air pumps for inflatable boats mentioned in this article are electric, foot and hand pumps. Electric air pumps have the clear advantage of very little effort involved when inflating but they are more expensive to buy outright and you will require a power source. Manual pumps obviously require some assistance and you may break a sweat but they have many benefits too. Firstly, they are so simple and there is not a lot to go wrong with them, they are easily stored when not in use i.e. inside the boat and of course, they are much cheaper. A combination of both electric and manual air pumps is highly recommended. Electric is clearly quicker and more efficient but for some unexpected reason, you may be left without a power source thus the requirement for a manual backup is essential. They are cheap enough and are easily stored for when you need them. Ensuring the air pump you buy is intuitive and require no additional hassle to inflate your boat is very important. Small thing such as the length of the hose, having all of the adapters, tight connections from the hose to the boat and other factors. 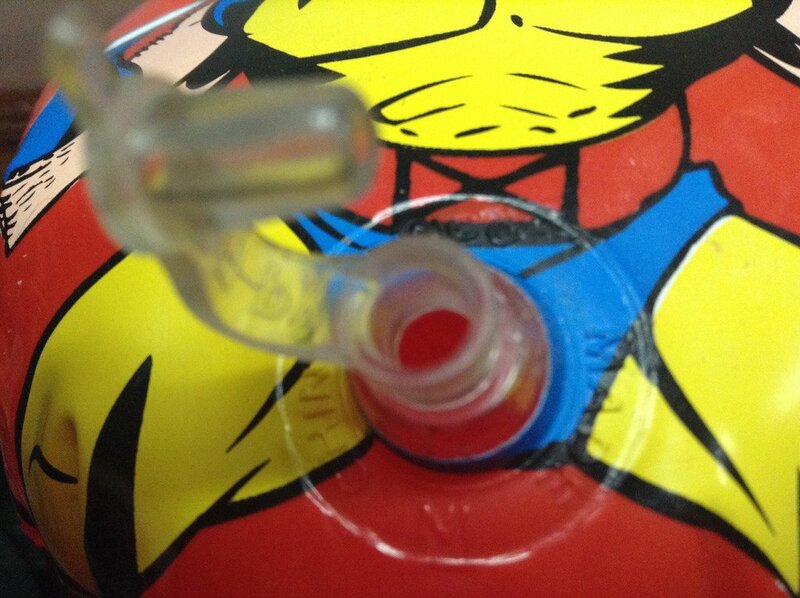 Its important to remember that there is not a universal fitting for an air pump to work with all inflatables. There is a range of fittings or adapters that connect with your air pump for use with a wide variety of inflatables. On top of the adapters, you will want to check for various inflation modes. An air pump for an inflatable boat will require much more pressure than a small inflatable ring. Not everyone will want to fork out the price of an electric air pump such as the Sea Eagle because they will only be using it a couple of times a year. For those that find themselves inflating their boat a lot, it is certainly a worthwhile investment. Value your time and effort involved in inflating your boat and then decide on a budget. All air pumps are fairly durable and long lasting, so you should see it as an investment in the long run. Investing into a high quality air pump for inflatables is a worthwhile investment because no one enjoys waiting around whilst your inflatable takes ages to inflate. The majority come with long warranties and will last many years too. Depending on the type of inflatable that you intend on inflating will determine which type of pump is best for your requirements. If you need an air pump for an inflatable boat, a mixture of a high pressure electric air pump and a manual pump is highly recommended.